Shopping online makes life so much easier. My partner-in-crime ( my daughter Jo ) first introduced me to do shopping online. So much so that I have become an online addict shopper. Groupon, Zalora, Lazada and Expedia are which are e-commerce platforms giving consumer the best deals. They have this shopback and cashback campaign going on. 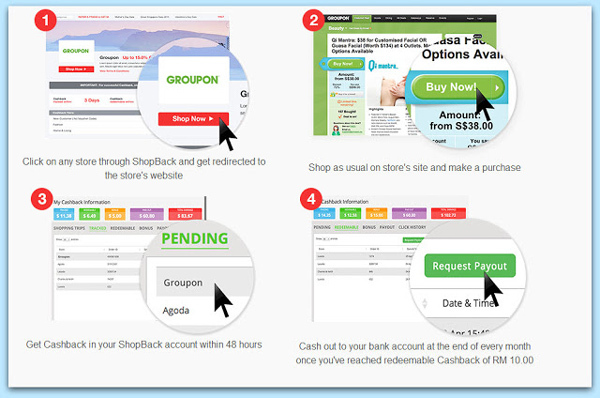 Save money on your online shopping with ShopBack - that is when you spend online through ShopBack, you will receive a portion of your purchase back as cash!. Great deal for all....I really have to share with you guys so that you too can save your wallet for the coming festive season. As Christmas is just a month away...and since I still have a list of gifts to get for my kids and my best friends , I can enjoy the best deals with Ensogo coupons and this will definitely help me save my wallet :) The instructions on how to use ShopBack are easy to understand. I just need to click on the store that I wanted, eg Groupon. I need to shop as usual and once payment is made, I will get cash back inmy ShopBack account within 48 hours . 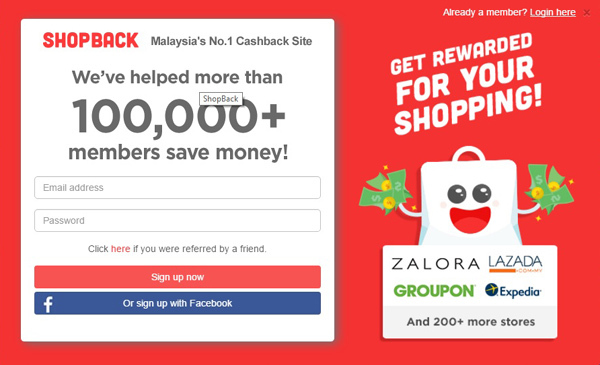 I can cash out from ShopBack when the amount reached RM10...wow...isn't that a great deal ! So, Get the best online shopping deals with Shopback.my. make shopping for Christmas an easy task!